We’re throwing it back to August for this one, folks! 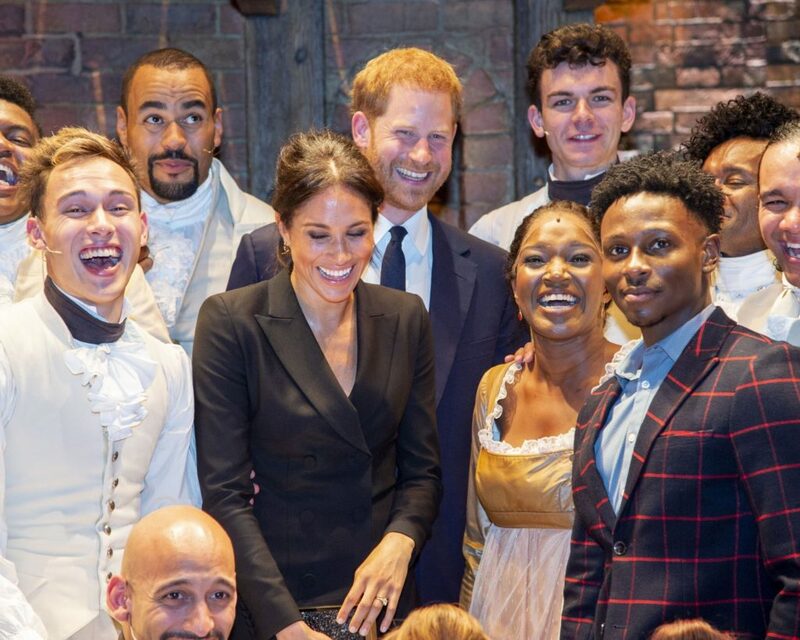 On August 29th, 2018, Prince Harry and Meghan attended a special performance of Hamilton in the West End in London. What made this particular show so special was that it raised money and awareness for Harry’s charity, Sentebale. The charity works with young people affected by HIV and AIDS in Lesotho and Botswana, which as we know already holds a special place in the newlyweds’ hearts. 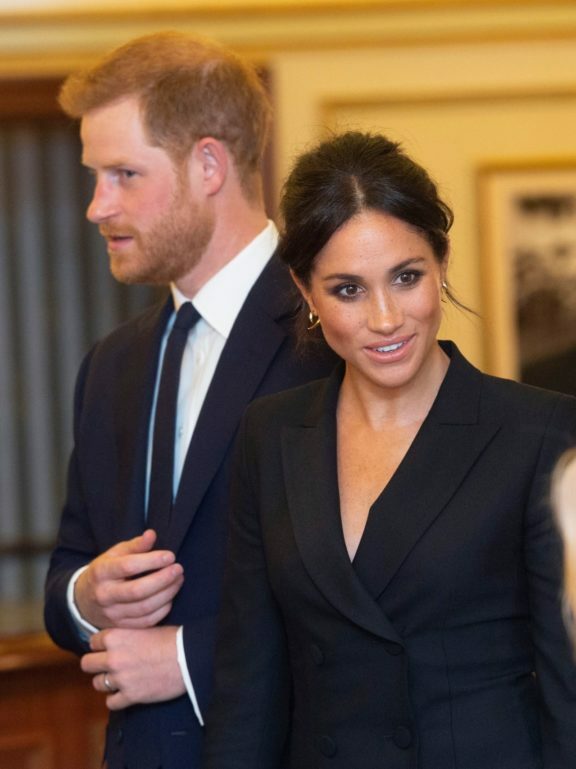 Prince Harry whisked Meghan away to Botswana to celebrate her 36th birthday, just a year before! 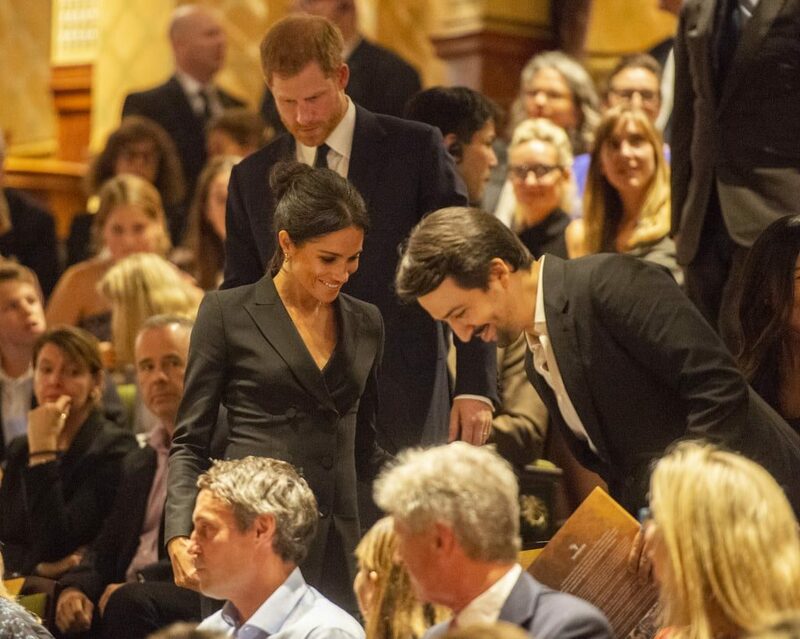 For the evening out, Meghan wore a trim tuxedo/blazer dress by Judith and Charles. She paired this smart look with a bespoke pair of Paul Andrew’s Pump It Up heels in black satin, and gold Shaune Leane talon earrings. The clutch was never identified, but people are suggesting it may have been a Becksondergaard box clutch from ASOS. See more pictures from the evening below and shop Meghan’s look at a variety of price points!